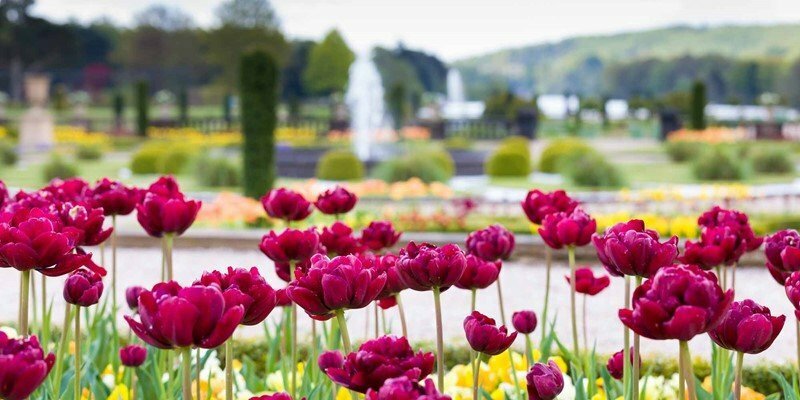 In order to celebrate their 15th year and the re-opening of the gardens to the public, Trentham estate is holding a Spring Bulb Festival from the 25th March right up until the 29th May. The gardens promise that the display will be a ‘riot’ of colour, with particular attention being shown to the Italian Gardens. The estate plans to dazzle guests with an array of spring colours thanks to an extra 50,000 bulbs and 500 decorative pots. One of the more hotly anticipated displays is set to be on the mile-long Capability Brown lake, where rowing boats will be planted with nine varieties of tulips and narcissus ‘Red Devon’ to create even more colour. The gardens promise for it to be an incredibly interactive day out for all, with DIY bulb displays planted to inspire people into using colour at home and a whole host of ‘natural’ photo frames just waiting for people to pose with. As well as these spectacular new installations, the existing garden borders and other displays have been given a new lease of life, with further plantings of Narcissus Thalia, Anenome Nemerosa, bluebells, and Cyclamen Coum. To see this wondrous display of vibrant colour for yourself, you can find out more information here. Whilst you’re visiting the Gardens, be sure to take your inspiration to the Garden Centre and perhaps make a purchase as a result of the DIY displays offering guidance on what colours to use. You can also pay us a visit while you are there, as the Crane Garden Buildings show centre is located onsite. To plan your visit or ask us any questions, get in touch on 01782 433466.